The Committee of the Arts is comprised of Zoot employees and community art professionals. The Committee selects Montana artists to display in the corporate space with exhibits rotating every 3 months. Darcy, a Montana native, has been the coordinator of the Zoot Art Gallery for over eight years. She enjoys the opportunity to meet artists from around the state and assist them in the coordination and promotion of their gallery exhibits at Zoot. She has always had a love for creative expression and is thrilled to be part of the art committee. 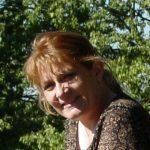 Darcy graduated from Montana Tech of The University of Montana with a BS degree in Professional and Technical Communication. In her free time she enjoys music and outdoor adventures with her husband and two children; skiing, mountain biking, and camping. Richard Helzer previously served as Director and Professor of Metalsmithing/Jewelry at the School of Art at MSU. 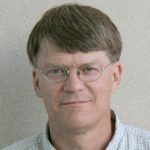 Educated in the Midwest at the University of Nebraska (BA) and University of Kansas (MFA), Richard continues to give lectures and workshops at universities and foundations and has received numerous grants and awards. Richard’s works have shown nationally in selected solo exhibitions and various group exhibitions throughout the US. His artwork is part of 18 permanent collections and have been illustrated in 22 magazines and books. Steve Jackson is a Montana native. He received his Bachelor of Science degree in Photography from Montana State University in 1978 and a Master of Fine Arts degree in photography form the University of Florida in 1980. 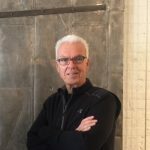 He began his work for the Museum of the Rockies in 1981 as Museum Photographer and has been Curator of Photography since 1984, Curator of Art and Photography since 1989 and Assistant Director since 2003. As curator of the art and photography, Steve oversees the care, preservation and access needs of the museum’s permanent collections. Carol creates fused glass art for the casual admirer to the most avid collector from her studio in Bozeman, Montana. She began working in traditional stained glass almost 20 years ago and shortly thereafter, moved her focus to warm glass. Her work is unique in the quality and attention to detail evident in every design. Through experimentation, fabrication and exploration, she developed her relationship with glass. She finds that the properties of transparency, refraction, and magnification set glass apart from other art mediums. Her work has been described as innovative, fresh, happy and even exquisite. Carol’s work reflects the dynamic play of color, tone and nature of the Northwest where she has resided for over 30 years. 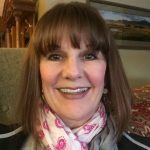 In 1993, Betsy moved to Bozeman and began a career in the art business, joining Montana Trails Gallery. She managed the gallery for eight years until she chose to pursue her lifelong dream of owning her own business. Betsy Swartz Fine Art Consulting specializes in private placement and works with clients in the privacy of their own homes or businesses to build art collections of value. Betsy graduated in 1985 with dual degrees in Business Administration and Music Performance. She sings with the Bozeman Symphonic Choir and enjoys skiing, hiking, traveling, and spending time with friends and family. Ruth Kronfuss was the Director of Human Resources at Zoot from 2003 to 2015 and will be the first Zoot retiree on the Art Committee. Ruth is a native Montanan who comes from a large family that encouraged artistic expression. She failed miserably in music, unlike the rest of the family, but found her passion in anything that involved working with her hands. She loves drawing, painting, stained glass and is currently obsessed with precious metals clay. She also has aspirations of learning how to torch cut and weld. Ruth wanted to find a way to stay involved with Zoot after retirement and was very excited to be accepted as part of the Art Committee. Ruth originally attended college in Elementary Education and Art with the desire to teach art to grade school students. Life took her in another direction and she has worked in Human Resources for over 30 years. Although she’s somewhat of a home-body, she loves company and her husband will tell you that she can be talked into most anything, at least once anyway.